Ecommerce is in vogue. According to eMarketer, it will account for almost nine percent of total retail sales by 2018, up from 5.9% in 2014. And by 2019, ecommerce spend is set to surpass US$3 trillion. But with Amazon currently snatching “23% market share of online retail sales,” it may seem like a behemoth to beat. Customers go straight to the site for everything from laundry detergent to sports memorabilia. And with thousands of options for each product, Amazon is killing the search game. It was brilliant from the get-go at building reviews, crafting fresh content, and creating SEM-friendly product pages to capture search traffic. Amazon wins because it does everything, which affords the ecommerce giant a lengthy head start. But as we know, when you’re a jack-of-all-trades, it’s difficult to dive deeper into your customers’ No. 1 priority. To beat Amazon, you have to pick a niche and become the master. Pick a space where people care about more than just price and specs. Fashion, beauty, lifestyle, health, and design are a few areas where Amazon hasn’t had the bandwidth to build significant share — it’s why the most successful ecommerce players live in these spaces (think Wayfair and Ipsy). In the end, customers favor brands they can trust regarding trends, styles, and quality over cheaper competitors. In most cases, they’re willing to pay a premium for the right product and experience. For these categories, discovery, content, curation, and brand all play an important role in the shopping process. Customers want direction and inspiration on what to buy — which gives you an opportunity to not only build a reputation as an expert in your domain (through content, branding, PR, and events) but to also nurture your community of brand ambassadors. NET-A-PORTER is a great example of an authoritative ecommerce company. Its customers use the site to consume high-quality content on emerging fashion trends and purchase featured products that strike their fancy. And NET-A-PORTER’s signature black box is an image customers immediately associate with the brand. You can either vertically integrate and control product distribution (think Warby Parker) or get exclusive access to brands (which is what we do at Rocksbox). It goes without saying that your product needs to be significantly better than what’s available on Amazon. This is where it’s critical to become the master of the space — know your customer, the category, and the suppliers better than anyone else — and create a product that meets your customers’ needs better than what’s out there. This could be through design, function, sourcing, or innovation. TOMS and Nest are two companies that have successfully set their brands apart and catered specifically to customers’ unique wants. Know your customer: how she consumes your product and what she cares about most in your category. Then, build a unique experience that meets her needs. At Rocksbox, we designed a shopping experience that’s fundamentally rooted in discovery and experimentation — which, in the jewelry space, are incredibly important. Our subscription-based model works because shoppers don’t have to commit to purchasing a designer piece of jewelry they may only wear once or twice; rather, they can try out a variety of pieces. Amazon may seem like a daunting force to be reckoned with, but all it takes is a bit of strategy and determination to give the company a run for its money. Do you think your business has what it takes to go up against the Goliath of ecommerce? 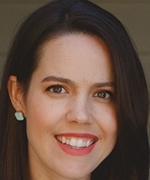 Meaghan Rose is co-founder and CEO of Rocksbox, a fashion tech company defined by hyperpersonalization and exceptional service. Rocksbox is a membership-based rental and shopping service for designer jewelry.